March is National Kidney Month and it's a good time to give your kidneys some heartfelt love. Dr. Kristina Penniston, UW Health clinical nutritionist advises, "Heart health and kidney health often go hand in hand. A general rule of thumb is that by following heart health guidelines, you can promote healthy kidneys too." 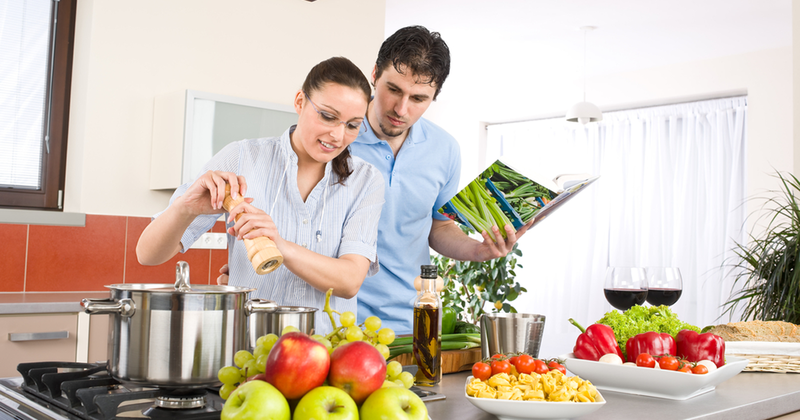 She says, "A key component to proper nutrition and kidney health is to maintain balance and moderation. By avoiding excess consumption you can maintain a healthy weight, balanced nutrition and healthier kidneys." Drink up for healthier kidneys! Water and other non-sweetened beverages are at the top of the list of things you should be drinking plenty of, says Dr. Kristina Penniston, a clinical nutritionist with the University of Wisconsin School of Medicine and Public Health. Penniston, who works primarily with kidney specialists, says what you choose to drink, and in what quantity, has a huge impact on the health of your kidneys and other parts of your body. Every day, the average American guzzles several quarts of liquid - everything from good old H20 to drinks like coffee, soda, juice and alcohol. "Our need for fluids varies so much, and there's really no one-size-fits-all amount," says Penniston. "A person's needs are really individualized. The amount of fluids you need depends on your size and the amount of physical activity you are engaging in." She adds, "Everything depends on what you're doing - are you sweating during physical activity or are you sitting at a desk being sedentary?" Your size is also an important factor. Penniston says, "A 250 pound person is going to have very different fluid needs than a 100 pound person." Penniston notes that it is especially important to limit sugar sweetened beverages. She says, "When you overuse sugary beverages, it affects your overall health including your weight, your kidneys and your heart health." She explains that it's important to get the majority of your daily fluid intake from water and low sugar beverages and to maintain moderation when you consume any beverage. If you are at risk for kidney stones, ample consumption of fruits and vegetables, including juices can help reduce your risk for stones. Fruits and vegetables are the only food groups that provide an alkaline load to the body. Adding more alkaline foods to your diet will increase your urine pH (make it less acid) and reduce your risk for certain types of kidney stones by increasing the amount of citrate in your urine. Fruits and vegetables are also good sources of fiber, potassium, phytate, magnesium and citric acid (also known as citrate), all of which inhibit the growth of stones by various means. Just remember, if you are consuming fruit and vegetables juices, fruit juices are often laden with added sugar, and vegetable juices may have high sodium content, which greatly decrease their health benefits. Read labels and choose wisely! From kidney stones to kidney cancer and kidney disease, there are many different kidney diseases and conditions that can affect your overall health and well-being. If you have risk factors for kidney disease or have been diagnosed with a kidney disease, nutritional therapy can be an important part of your treatment plan. Talk to your doctor or urologist to find out how you can receive a dietary assessment and nutritional counseling from a clinical nutritionist. A clinical nutritionist can assess patients' diets to help identify dietary factors that can help manage the prevention, progression and treatment of different forms of kidney disease. Nutrition therapy may help patients maintain a healthy body weight, improve immunity, prepare their body for surgery by providing good stores of nutrients and lessen side effects of treatment. UW Health's urology program is committed to proactively using nutrition therapy as a highly personalized approach in the care and treatment of patients with kidney disease.